We are a web development team that creates visually attractive, reliable, high-quality and easy-to-use online stores and e-commerce solutions. Besides ready-to-use packaged extensions, such as modules and themes for different shopping carts we offer custom design and development services. CartTuning consists only of amazing people. Whole our team is passionate about our work, so anything we do, we do it with love. You can be sure that our team will take care of your project and will do it as well as it is possible. We put our heart and soul not only into our own projects, but also into our clients' projects. Let our website be the place where happens magic and your dreams come true! Have you ever thought what could really impact your potential customers and increase your sales? 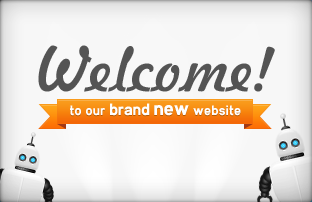 Well-designed website is what brings you a great opportunity to drive your online-business at the highest speed. CartTuning Team is ready to help you to make your online store eye-catching and memorable. We always keep in mind your goals, business target and requirements when offering you website design. All in all design is what we are really good at. Web design, eCommerce design, icons, logos, illustrations,ui, web elements, app design, 3D-graphics, promo, print templates, brandbook. Motion Graphics: video logos and animation, video presentation, promo-movies. Make your store more comfortable and functional. Your customers will definitely appreciate it! We can offer you a wide range of useful and high-quality addons for cs-cart. Moreover in the near future we will provide you some new modules for such engines as Prestashop, OpenCart and many other. And we are always welcome and grateful for any new ideas or advice, because we are sure that it will help us to improve the existing products. CartTuning Team has successfully worked with a great number of custom modules and always eager to make our contribution to your business by developing extra addons and modifications according to your shopping cart needs. You can be sure that your idea of the new functionality will be converted and implemented into your module absolutely in accordance with your wishes. Who said that magic can not happen? This is a place where your secret visual ideas transform into precise working mechanisms. Short and simple. You provide your PSD design and we build a working and flexible template for CS-Cart or another shopping cart engine like Prestashop, Open cart and other. And of course, WordPress. Anything you need. You double check - and your project materializes. Clean and clear. If you are consumed with ideas to embody your own startup? Then you found the right place for making your wishes come true. In the process of Startup idea is not the most important thing, you will also need a good team that would be able to implement your ideas. By the way, such a team should not only have the background full of necessary knowledge, but also have enough experience and be really skilled in creating startups. And of course, it is worth mentioning that this team should be inspired by the spirit of startup, should desire to do something interesting and new using the emerging technologies, because these are main keys to success of your business. Yes, you caught the meaning correctly, our CartTuning team is such as described above. In addition to our great experience and working knowledge of different technologies, we also have a desire to create and develop startups. That's what we do. Create something out-of-ordinary, something that would produce "wow!" effect! CartTuning will offer you top-notch web development services. We develop feature-rich custom web applications, sites and portals for corporate and internet-focused projects: eCommerce, SaaS, social applications and much more. When it comes to custom development we give our clients choice and try to find the best approach to create efficient, user-friendly and blasting application. We work with a variety of frameworks and technologies and will be happy to give you a free consultation on the best way to implement your project.